Lost wage payments intended to compensate injured New Mexico workers for wage loss are known as indemnity benefits. Temporary Total Disability (TTD). As you might guess from the name, these benefits are provided to workers who are temporarily unable to work due to an injury. TTD payments will be made until the employee returns to work, or until his doctor determines that his condition will no longer improve with further medical treatment. This is known as maximum medical improvement. Temporary Partial Disability (TPD). These benefits are available to injured workers who continue to work, but at a reduced wage or with reduced hours. TPD benefits will continue to be paid until the worker’s wages return to the normal rate or until maximum medical improvement has been reached. Permanent Total Disability (PTD). These are lifetime benefits that are paid to employees who have suffered debilitating injuries, and who are therefore unable to do any work. 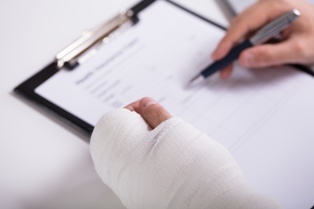 Workers who have completely lost the use of both of their hands, arms, legs, feet, or eyes (or any combination of two of these body parts) are entitled to receive PTD compensation. Employees who have suffered a severe brain injury may also qualify for permanent total disability benefits. Permanent Partial Disability (PPD). Workers who have permanent limitations, but who are still able to return to work, may be eligible for PPD benefits. These benefits are paid to employees for both scheduled losses and whole body impairments once maximum medical improvement has been reached. A scheduled loss involves an amputation or loss of use of a body part, for which an employee will receive two-thirds of his average weekly wage. All other permanent partial disabilities, such as back, head, neck, and lung injuries, are compensated as whole body impairments. As you can see, the rules applicable to indemnity benefits in New Mexico are complicated. You need the guidance of an experienced workers’ compensation attorney to ensure that you receive all of the benefits you’re entitled to. To learn more, contact the Injury & Disability Law Center by using the form on this page.